The Canadian Evaluation Society (CES) and Canadian Evaluation Society Educational Fund (CESEF) jointly manage the Student Case Competition where French and English teams of three to five students compete to develop an evaluation framework and plan of a specially selected case is (available in English and French). Students from all disciplines and all levels of post-secondary study are welcome to participate. There is no limit to the number of teams from a given institution. In the preliminary competition, all registered teams are provided internet access the evaluation case file. Teams have five hours to prepare an evaluation framework and plan and submit it by e-mail for judging by a bilingual panel of experts. 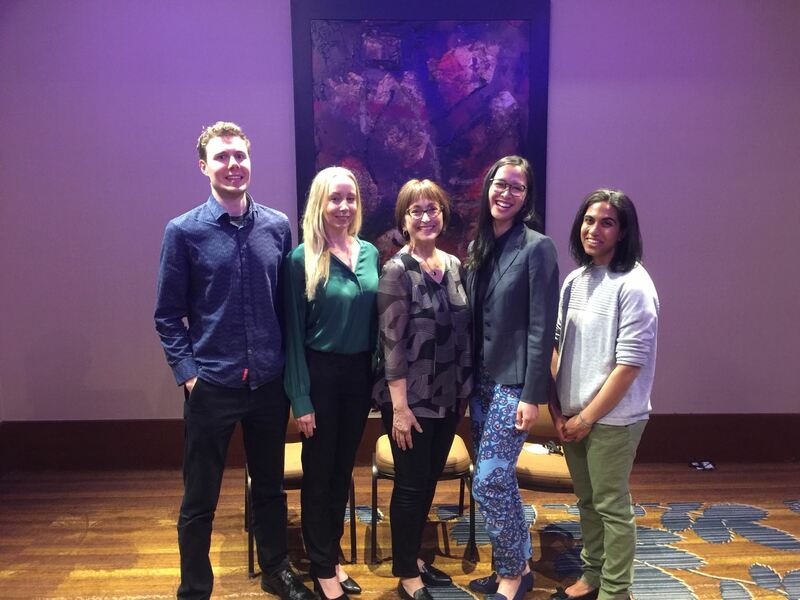 The top three teams are invited to participate in a final round, held at the Canadian Evaluation Society's annual conference, in which they must analyse a new case and present findings and recommendations before a live audience. BC Students Win 2018 Student Case Competition! 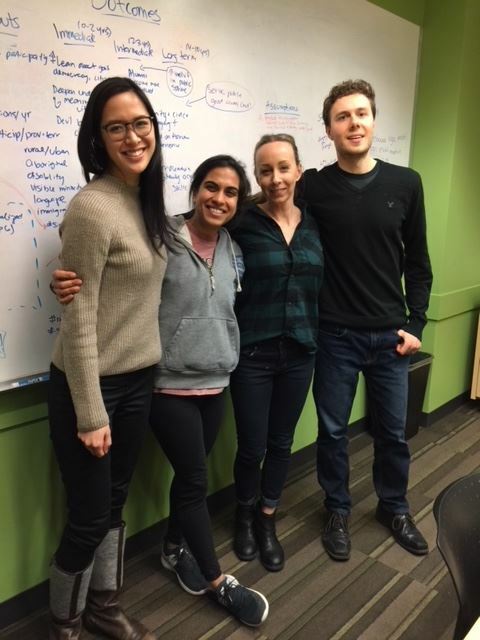 Congratulations to Clint Thomson (UVic), Michelle Naimi (University of Melbourne), coach Dr Chris Lovato (UBC), Anita Minh (UBC) and Zahra Remtulla (UVic), for winning the 2018 Student Case Competition. This is the first time a team from several different schools participated. The team goes on to compete in a virtual international competition. Best of luck, your pals in BC will be cheering for you! CESBCY Sponsors BC Student Case Competition!
" Sending a warm thank you from Team ReThink for the generous support CES BC has offered to allow us to attend the Canadian Evaluation Society Student Case Competition final round in Calgary. We are hard at work preparing and so excited to be a part of this event - what a great opportunity for our group of new and emerging evaluators! Wouldn't be possible without the support from CES BC as we are spread out over a bunch of different universities and haven't been able to secure funding from all of them. Looking forward to doing BC proud in the final round.